Rick Woolworth shares his wisdom from his ‘second’ career as mentor. Rick Woolworth’s views on mentoring are the product of more than 1,000 hours of mentoring conversations over the past 10 years. After a 35-year career on Wall Street, he founded a non-profit named Telemachus with the sole mission to mentor emerging leaders ages 25 to 40 through facilitating one-on-one mentoring relationships, conducting workshops, and hosting an annual conference. More than coaching – which is almost exclusively career related – Rick approaches mentoring by helping mentees consider all aspects of their lives. He often begins by asking how a mentee would want to be described by friends at family at his or her 80th birthday. The following is a summary of Rick’s advice on ‘best practices’ to people who want to build excellent mentoring relationships. Whether you are a formal mentor, or just someone who people often seek out for advice – these ideas will interest you. Rick observes that mentoring is one of the few things that people get better at with age – we like that. You can read the full article here. An excerpt from Rick’s advice…. Most mentors are well-intentioned, but not intentional about growing their mentoring skills. Whether you are currently engaged in mentoring or intend to do so in the future, you can be a great mentor with impact that lasts decades. Three best practices can elevate your mentoring to a whole new level — sharing stories, mentoring the whole person, and integrating mentees into your network. A few great mentors shaped my character and life trajectory. Without their influence, I am certain I would not be enjoying a fulfilling “encore career” and a marriage of over 40 years. Recently, my wife (Jill) and I were Fellows for 18 months at Stanford University’s Distinguished Careers Institute where we were full-time students in class alongside undergraduate and graduate students. This experience provided opportunities to mentor students as well as a close-up view of millennial culture. If you want to know what’s ahead, ask the people coming back. Whenever I meet with a younger person for the first time, I say: Tell me your story. Start at the beginning and take your time – you have 20 or 30 minutes. I may ask a few questions, and everything you say will be confidential between us. When you’re finished, I will tell you my story, if you want. They always want to hear my story. This simple practice can transform the trajectory of a mentoring relationship. You will move to a whole new level when you ask questions like: Tell me about your relationship with your father and your mother. What would you have done differently if you had the chance? It is a privilege to be given this window into another person’s journey during the first meeting. Over time, it also allows you to ask pertinent questions with knowledge about their past. When I tell my own story, I make sure to describe one or two of the difficult chapters from my work life and marriage. By doing this I am signaling that all aspects of our lives are on the table, enabling us to get more quickly to the issues my mentee is facing. What follows are helpful approaches to use when you share stories. Humanize yourself. One of the many benefits of sharing stories is that it levels the playing field — you are humanized. Be authentic. Millennials highly value authenticity and “straight talk,” while disdaining hypocrisy. Take notes. It may feel awkward at first, but nearly every time I share stories with another person I ask if I may take some handwritten notes while we talk. If I have the privilege of having people share their journey with me, I owe it to them to remember key details, especially when they describe some of their past or current struggles. Why sharing stories is essential. The importance of sharing stories came home to me 10 years ago when I met with Bill George, a top professor of leadership at Harvard Business School, former CEO of Medtronic, and bestselling author of True North. He emphasized that sharing stories is an essential practice in HBS’s Executive Education programs. Bill noted that the critical factor determining which groups thrived was whether or not all members followed the program’s recommendation to share their personal stories for 30-45 minutes. No shared stories led to weaker group dynamics. Most mentoring today is focused on issues related to career advancement. While work is obviously an important part of a mentee’s life, there is so much more to explore as your relationship develops. 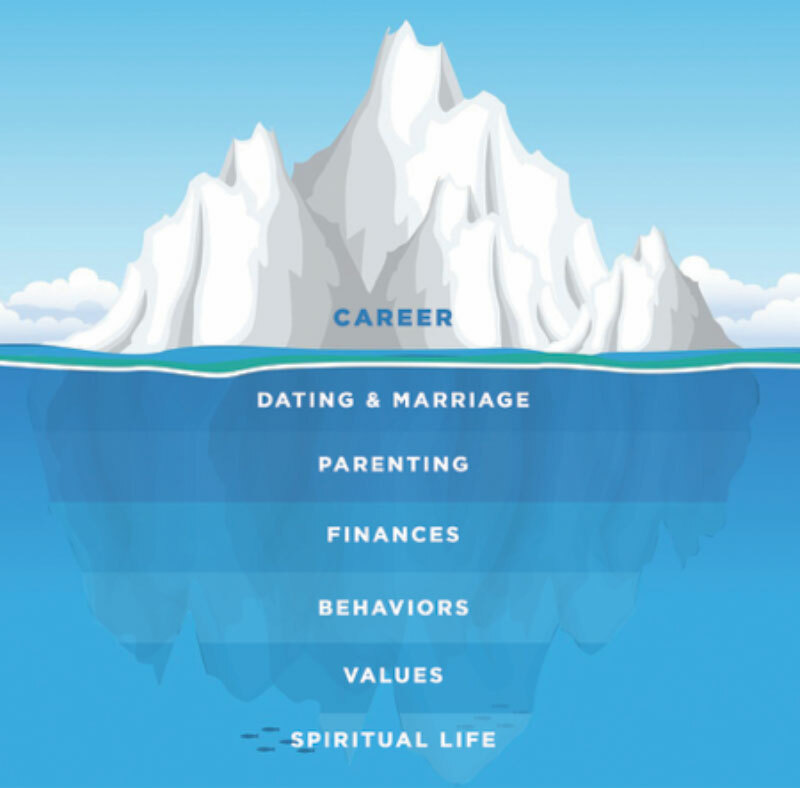 Your mentees are like an iceberg — limiting your conversations to their careers is only dealing with the portion above the water line. Mentoring affords you the opportunity to get to know the whole person so you can help them flourish in all aspects of life for years to come. Here are some practices for mentoring the whole person. Who has been most influential in your life other than your parents? What did you enjoy most when you were in high school? On a scale of 1 to 10, how would you rate your marriage relationship right now? Were you raised in a particular religious tradition? What approach do you use to manage your personal finances? What do you do to “reboot” so that the busyness and tech overload in your life does not result in burn-out? Start with the end in mind – Perhaps the most important question you can ask a mentee is: What is success? Long-term success? If you don’t do this early on in your mentoring conversations, it is like navigating a ship without the ultimate destination in mind. A simple yet effective way to unpack this question for a mentee is to say: Imagine that tonight there is a party honoring you on your 80th birthday. Write down five brief things you would like family and close friends to say about you. Once they share their list with me, I normally share my own answer to this question. Unpack your mentee’s “toolkit.” Another valuable area to explore is your mentee’s innate gifting, aptitudes, personality characteristics and passions. Most younger people have limited self-awareness about how they are uniquely “wired.” Without this perspective it is easy for mentees to aspire to be people they are not built to be. I learned this the hard way during my 23 years at Morgan Stanley. Asking your mentee to take advantage of personal assessment tools such as StrengthsFinder and Myers-Briggs can provide constructive insights into their makeup. Other excellent tools are the Enneagram for personality assessment, and Johnson O’Connor for aptitude testing. One of the greatest gifts you can provide your mentees is introducing them to your network of key relationships. This takes little time yet can have enormous impact — in some cases it can be life-changing. Your mentees will benefit from diverse perspectives on various aspects of their lives, including work, relationships, values and world view. Here are some ways to open up your network to your mentees. 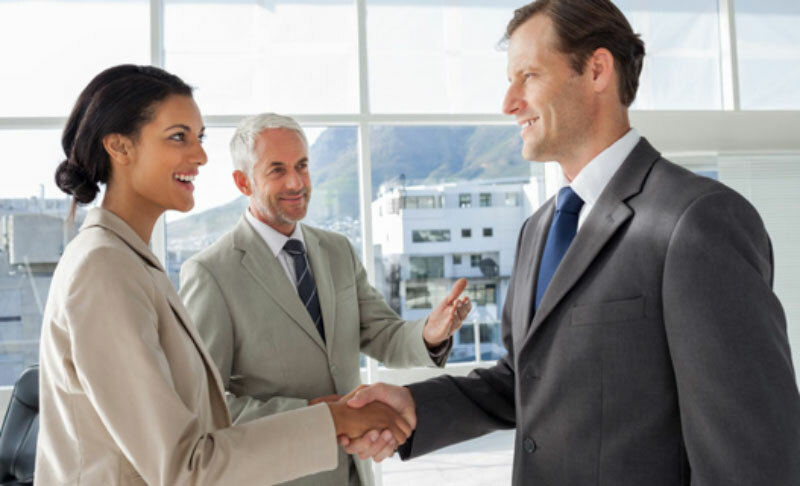 Connect them with work trusted colleagues and professional contacts. Have them meet your friends – Why not have your mentee meet some of your close friends? If you have a spouse and children, why not invite your mentee to join you for dinner and get to know you on a more personal basis? Remember that most of mentoring is “caught not taught.” We have all heard that roughly 90% of communication is non-verbal. Many mentors don’t realize that their lasting imprint on a mentee is often how they conduct their life, whether at work, home or other settings. How you serve as a role model is as important as your face-to-face meetings. Share your content. I often email my mentees articles, videos, TED talks, book titles and links to websites that they may find helpful. Think of yourself as a curator providing your mentees with thoughtful and challenging ideas and perspectives. Author of How Will You Measure Your Life? Of all the ways you spend your time, mentoring has one of the highest returns on investment. By spending just small increments, you will impact the lives of your mentees over the next 50+ years. What’s more, your time investment will have a multiplier effect because these mentees will in turn positively influence their families, friends, organizations and communities. In this way you build a long-lasting legacy. Many people today complain about the leadership crisis in our country. Mentoring is an opportunity to do something about it. It enables us to take all we have learned and “pay it forward,” shaping the next generation of leaders. Finally, mentoring is not only wonderfully rewarding, it is one of the few things we do where we get better with age. By utilizing the three practices presented here – sharing stories, mentoring the whole person, and introducing mentees to your network – you can become a more effective mentor and have a generative impact that will be felt for years to come.